Microsoft has introduced new feature in System Center Configuration manager Build Version 1602 called Client Online Status .This is really cool and exciting feature which is really needed these days to know if the computer is online or offline (of course ,SCCM agent must be working and healthy which is different story). In the Configuration Manager console, click Assets and Compliance > Devices or choose a collection under Device Collections. 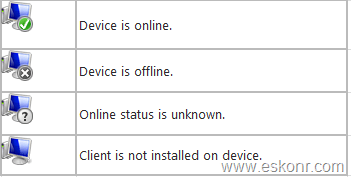 Device Online Status indicates whether the client is currently online or offline. (This is the same information given by the icons). Last Online Time indicates when the client online status changed to online. Last Offline Time indicates when the status changed to offline. Now ,coming to the subject line , wouldn’t it be nice to create Collection or SSRS Report for client online Status in Configmgr 1602 ? collections Uses WQL and Reports uses SQL . Once we know the wmi instance or SQL view,it is easy to create collection or SSRS Report. 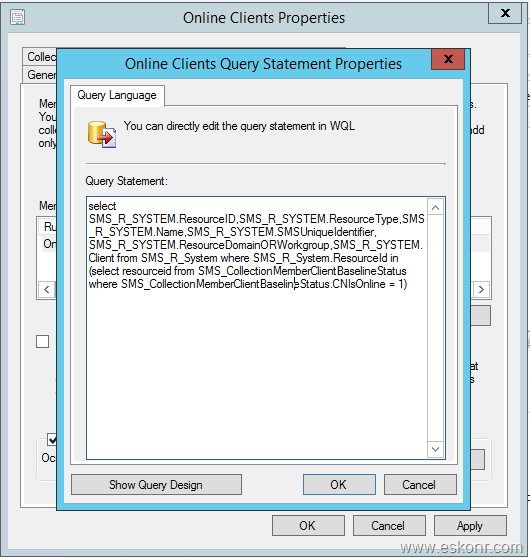 8 Responses to "How to Query Clients collection or SSRS with Online Status in SCCM Configmgr 1602"
This is great! Now if only there is a way to wake-up a computer in every subnet to stay online as a ClientCache source.. or a way to automatically find a computer in each subnet that would be the best candidate and change it's power policy..
To wakup computer,you can use broadcast or unicast in SCCM Site properties settings. I could not start a new question as I could not get the login info below to display. I have had an issue with the device status and it still does not work. I did not know about the port number and I did open it and rebooted, but all the icons show unknown. Anything else I can check? I have a list of devices in an excel which have nothing in common. Great, thanks for the Update. Haven't looked at it in production version of CB 1606. I will update the blog post.